We won't go into how exactly you do this, that's for an operations manager to worry about. But start thinking about the promises you make to a customer, and whether you keep them every time. Be realistic about them: it’s better to promise their delivery in 3 days and deliver it in 2 than the other way round! You might spend a lot of time and effort on bright in-store advertising or have staff handing out free samples, complete with memorised sales speeches. In other words, you’re talking. But are you also listening to what your customers are saying, and what they want. If your market is not very vocal, then be proactive in seeking their opinions and thoughts about their retail experience and future needs. Each customer is a unique person and life, and so will probably have different needs. Where possible, try to accommodate these. Customers will remember your attempts to go the extra mile, and are more likely to return to you next time. In the same vein, they will look bitterly back on your business if you said rigidly "It's company policy not to accept returns after 21 days" on an item you both know could easily be resold. If you've done a good job at number 2, then you should be able to anticipate your customer's next move. Fulfil it before they ask. For example, a person doing their St George's Day shopping in a supermarket may pick up all the related paraphernalia (festive plastic cups, napkins, plates) but they know their forgetting something. Instead of pushing the usual chocolate bars, and chewing gum at the shelves near the checkout, you've helpfully stocked them with packs of bin bags - a necessity for post-celebration cleanups. Also, use queue management technology to predict when your shoppers are going to arrive at the checkout so there isn't a long wait for them. Aside from your stellar service as a retailer, give them another reason to come back. Get stuck into loyalty schemes before your competitors do. 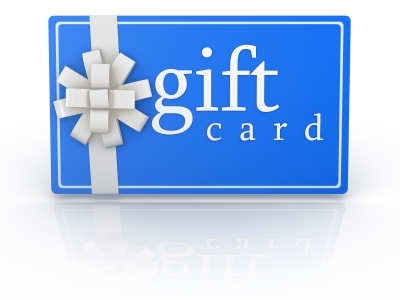 Ideas range from gathering redeemable points on a loyalty keychain, a gift card once a year on their birthday or purchase dependent offers such as "20% of your next handbag". Make contact on a frequent basis by phone, cards, newsletters and email, whichever is preferred by your customer. If appropriate for your kind of retail, approach them in person to have a pleasant conversation. At this point it is also important to call them by their name as psychologically this creates a deeper memory and rapport. Remember the day when you forget your customers is the day they'll start to forget you. Make it simple and convenient for customers to get in touch with you. Don't frustrate them by having long calling queues, multiple menus or other blocks to human-human interaction. This will only drive them away. You said it when you made the sale and your store has a cheerful sign on the exit, but there's certainly no harm in saying thank you again in writing. 20% of micro businesses (1-9 employees) obtained at least half of their sales from a single customer. If this is the case for you then a handwritten note would be ideal. If you're bigger and have hundreds if not thousands of smaller transactions a day then, a pre-printed note sent out a few times may be more appropriate.